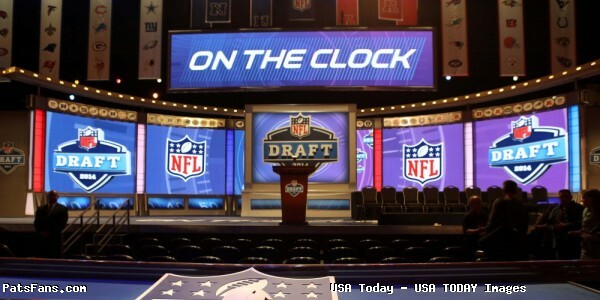 It is time to take a look at conducting our first Patriots seven-round mock draft. Now that the initial FA feeding frenzy is over with and teams have gone crazy spending some salary cap space, we have a little bit better idea where the Patriots are at. So, with that said, are the Patriots going to make 12 picks in the 2019 NFL Draft? I doubt it very seriously, but for our purposes, we didn’t make any trades, which we’ll try t do later in a different mock. Round 1, Pick 32 – T.J. Hockenson, TE Iowa: Shocking to find him here at #32, while I personally believe him to go much, much higher, the fact that he was still here was far too good an opportunity to pass up. Hockenson to me is the best overall TE in the draft, I know that his teammate Noah Fant is the most popular guy in many mocks right now but Hockenson is the total package. A tremendous blocker, he can line up inside, outside, as an H-back …wherever you need him to be. He can attack down the seams or be a QB’s security blanket, a mismatch against linebackers and most safeties. Despite being very young, he can be a Day 1 starter. The eventual replacement for Rob Gronkowski in 2019 if he retires or 2020, if he comes back. Round 2, Pick 56 – Deebo Samuel, WR South Carolina: Samuel is a perfect fit for the Patriots offense. Samuel has the flexibility of lining up as the “Z” (when Julian Edelman moves on) or in the slot. He’s capable of taking a short/medium pass and taking it to the house. He doesn’t have great size and is built more like a running back than WR but is very tough, not afraid to go into dangerous spaces and is hard to bring down. Samuel is also a kick returner and brought four back to the house for the Gamecocks. 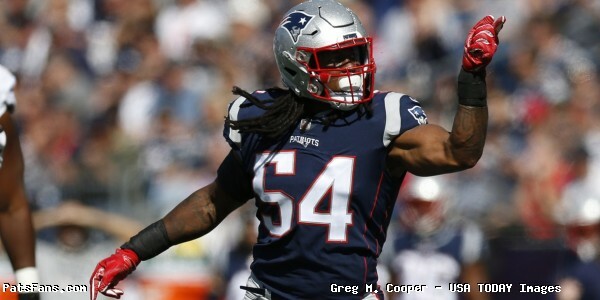 If he’s still there at #56, the Patriots should take him quickly and he’ll be an immediate contributor on both the offense and special teams. Round 2, Pick 64 – Greg Little, T Ole Miss: With both Trent Brown and LaAdrian Waddle gone in free agency and Isaiah Wynn recovering from an Achilles injury, tackle is a position that has now increased in scope for the Patriots. Little is a big prototypical size tackle with the length, and girth you want at left tackle. Another shocker that Little was still on the board at #64 here. He’s got very long arms, is very strong and at times looks positively dominant in the excellent SEC. But the knock on him is that he at times looks like he’s just going thru the motions. And that lackadaisical attitude won’t cut it in the NFL. But for that, I have two words…Dante. Scarnecchia. Round 3, Pick 73 – Joe Jackson, Edge Miami: Jackson is another guy who just looks like a guy the Patriots would love. 6’4, 275 and looks like he’s sculpted out of marble. He can play the run and sets the edge well, he is still learning as a pass rusher, but some scouts think he’ll be a better pro pass rusher than he was in college. He’s not great at any one thing but does everything well. He has a non-stop motor and makes the defense account for him on every snap. Looks like he has good bend around the edge and has good lateral agility which equates to tackles for loss and sack production. Round 3, Pick 97 – Terry McLaurin, WR Ohio State: McLaurin has good size for a WR at 6’0, 208 with excellent straight-line speed with a 4.35, 40-yard dash at the Combine. He’s physical, an outstanding blocker; is strong after the catch and very capable of breaking tackles. He’s a two-time Captain, which is something the Patriots always value. He’s considered very coachable with strong hands and is an outstanding gunner on the special teams. Because of the strong roster at Ohio State, he was often overlooked but would fit into the Patriots offense very well. Round 3, Pick 101 – Isaiah Buggs, DT Alabama: We had a chance to pick Dexter Lawrence in Round 1, but after his suspension for the National Championship Game and the playoffs for PEDs, we passed. However, even with the Patriots signing Mike Pennel, they still need another big body inside to go along with him, Lawrence Guy and Adam Butler. The question is would Buggs fit the Patriots system? I think the answer is yes. He has good but not great size at 6’2, 295 but is very strong at the point of attack. As an interior pass rusher, he had 9.5 sacks for the Crimson Tide in 2018 but is strong enough to play a two-gap style. He’s limited by short arms but makes up for it with outstanding upper body strength where he can stack and shed blockers. Round 4, Pick 134 – Saquon Hampton S Rutgers: A strong performance in the East-West week propels him up the board. Hey, the Patriots always seem to reach for a safety and this is probably too early. I really was hoping for Ugochukwu Amadi here but he was selected just a bit before we were on the clock. Hampton has good size at 6’1, 205 and ran a very good 4.48 in the 40-yard dash at the Combine. He could play the “Big Nickel” or Dime linebacker role. 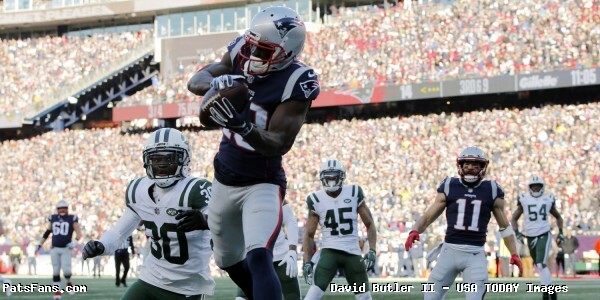 Another two-time captain from the Patriots pipeline of Rutgers…Core special teamer, Welcome to NE. Round 6, Pick 205 – Tre Lamar, LB Clemson: Another guy who really fits how the Patriots like to picture a linebacker. He’s huge at 6’3, 255 so he nearly fits the Hightower, Bentley mold inside. He’s a run-stuffing monster in the middle of the field, something the Patriots value. He’s bigger than several of the edge prospects. Round 7, Pick 239 – Kingsley Keke, DL Texas A&M: Keke is a slightly undersized DT in the same vein as Adam Butler. He’s a 6’3, 288 interior lineman, the Aggies had him drop 20 pounds to move from the interior to the edge. But his value in the NFL will be as a subpackage pass rusher. However, he has the strength and flexibility to defend the run as well. Round 7, Pick 243 – Anthony Ratliff- Williams, WR North Carolina: Ratliff-Williams has good size at 6’0, 205 and is versatile, lining up outside, in the slot and even in the backfield. His route tree was limited, however, he showed nice progress in 2018 in his game. He’s a good physical blocker and has the ability to break tackles and is a very good returner. Round 7, Pick 246 – Trevon Wescoe, TE West Virginia: Another big blocking TE at 6’3, 267, he’s strong and tough as nails but is still very much a work in progress in the passing game. He’s versatile, lining up as an in-line tight end, H-back and a fullback. Round 7, Pick 252 – Gerri Green, LB/edge Miss. St: Green was moved to DE in 2018 but was better in 2017 when played on the edge as a linebacker. At 6’4, 252, Green may need a red-shirt rookie season to gain a bit more size and strength. He would be a practice squad candidate with the chance to develop further. 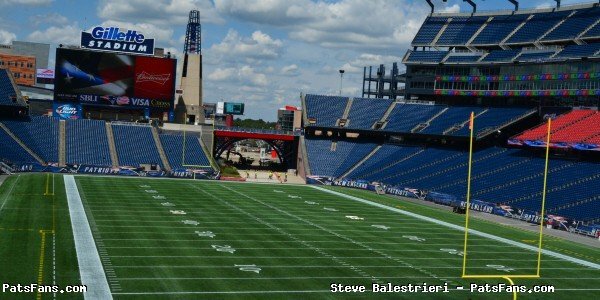 Follow me on Twitter @SteveB7SFG or email me at [email protected]Listen to our Patriots 4th and 2 podcasts on several apps as writers Russ Goldman, Derek Havens and I from PatsFans.com discuss the latest Patriots news and game analysis. 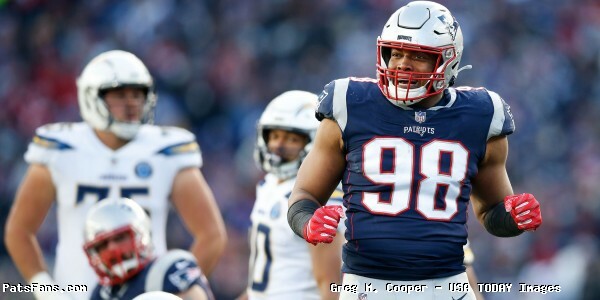 This entry was posted in 2019 Patriots offseason, NFL Commentary, NFL News, Patriots Commentary, Patriots News and tagged 2019 NFL Draft, Anthony Ratliff-WIlliams, Deebo Samuel, Gerri Green, Greg Little, Isaiah Biggs, Joe Jackson, Kingsley Keke, Mock Draft, New England Patriots, Patriots 2019 Mock Draft, Saquon Hampton, T.J. Hockenson, Terry McLaurin, Tre Lamar, Trevon Wescoe on March 22, 2019 by Steve Balestrieri. 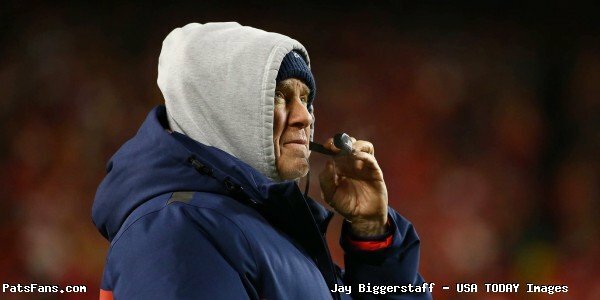 The Patriots are just in the infancy stages of building their roster and regardless of the big fish that got away in the hours and days before free agency even actually began, it is rarely if ever the way this team builds its roster. The roster, as it currently stands will in no way resemble that which will take the field in Week 1 of the regular season nor at the end of the season. That especially will hold true for the Wide Receiver position. We have seen the angst that many fans and media members have been feeling about the group of players that Tom Brady will be throwing to and rest assured, the team is not done addressing those issues. 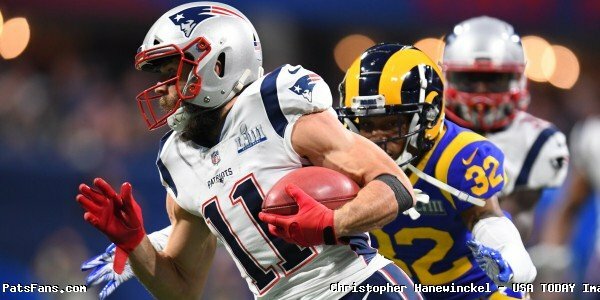 The team signed Bruce Ellington and Maurice Harris after bringing back Phillip Dorsett and while those two players aren’t the names that people were looking for, they will add depth to the roster and in the case of Ellington, he’s a guy who has had some degree of success against the Patriots a few times with the Texans. Bill Belichick loves to bring in guys like that. 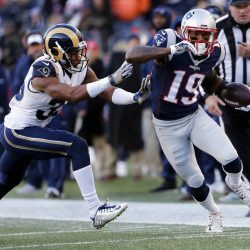 So, with 12 picks, including six in the first 101 of the upcoming NFL Draft, the Patriots approach to building up more production and depth at wide receiver will probably be two-fold. They will most assuredly draft a wide receiver …or two in April. But they probably will try to swing a trade with a team that has a wide receiver on the final year of his contract, much like how they got Brandin Cooks two years ago. A.J. Green, Bengals: With Cincinnati in the rebuild mode, Green who is now 30, is the name you’ve seen most circled as a “Patriots target” for a trade. It makes sense on a couple of points. Green is 30 and probably isn’t circled by the Bengals as being part of their longterm plans. He’s also been very productive in his career but has never tasted a playoff victory. But Green to New England isn’t happening. Why? I can give you 15 million reasons why. That’s what his salary is for 2019. 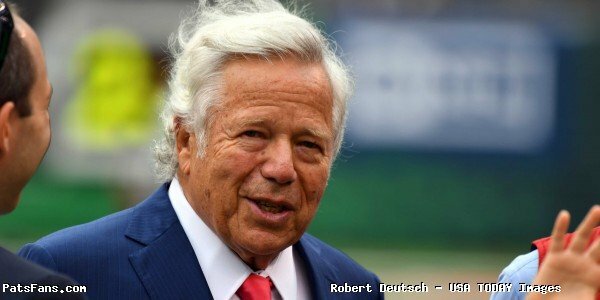 With the Patriots already strapped for cash, they need to re-do a couple of contracts anyway to get themselves prepared for the rest of 2019 and the draft. Bringing in Green without the Bengals eating a significant amount of his contract would put them in a huge bind… That’s a non-starter. Tyler Boyd, Bengals: If there is a guy on Cincinnati, I’d rather have its Boyd. When he came out in the draft a few years ago, our 4th & 2 podcast member Derek Havens and I both really liked Boyd and thought he’d be a great fit in the Patriots offense. Boyd had a terrific 2018 catching 76 passes for 1028 yards and 7 TDs, even better, his contract for 2019, his last on a rookie deal pays him just $1,064,742. Which is peanuts for a player of his ability. However, if I am the Bengals, why would I want to trade him? He’s just 26, and unless I felt there was no way, he returns in 2020. Allen Hurns, Cowboys: Most people remember the gruesome injury Hurns suffered in the playoffs when his ankle was dislocated in the Seahawks game. Hurns is considered a very good teammate and a popular one in the locker room. He is expected to be fully healthy to take part in training camp and the regular season. He had 1000 yard season a few years ago in Jacksonville and can play all three receiver positions including the slot. He’s got good size at 6’3, 201 and will turn 28 in November. He’s due $6.000,000 in 2019. He didn’t have a great first season in Dallas with just 20 catches as he saw his playing time take a nose dive after the team acquired Amani Cooper. 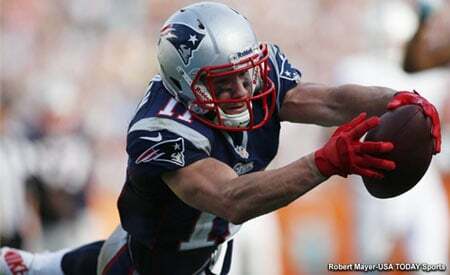 The Patriots could possibly pry him away as Dallas may opt for a slot receiver in the draft. 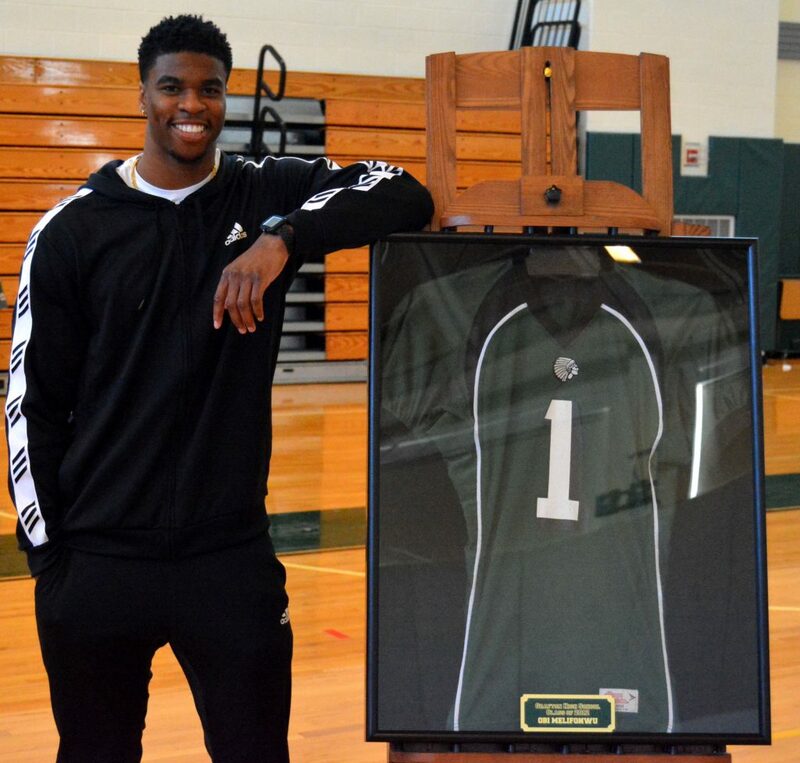 Laquon Treadwell, Vikings: Treadwell was thought to be the next great one when the Vikings drafted him in the first round #23 in the 2016 NFL Draft. But it has never materialized for him, he struggled to get production and was a healthy scratch in late December when the Vikes were fighting for a playoff spot. He had just 35 catches for 302 yards and a TD in 2018. His cap hit is just $3,161,132 in 2019 with a team option for a fifth season. He’s not going to be picked up by Minnesota who have to deal with Stefon Diggs and Adam Theilen at the position. The question is, can Treadwell, who is just 23, turn his career around with a fresh start? Sterling Shepard, Giants: Shepard plays both primarily in the slot and outside, and was thought to be possibly expendable with the Giants picking up Golden Tate recently. He caught 66 passes for 872 yards and four touchdowns in 2018. He’s in the final year of his rookie deal where he’s making just $1,891,464 in 2019. Would the Giants let him go in a trade? It seems like the answer is no to that. Dave Gettleman, the Giants GM who has made some head scratching moves this spring, first by trading Odell Beckham Jr. and releasing Landon Collins, then signing Tate to a big money contract is saying their keeping both. Shepard or Boyd remain the best case scenarios for the Patriots. Others like Emanuel Sanders of the Broncos is a very long shot. John Elway won’t trade him to New England. Another name to consider may be Josh Doctson of the Redskins. He’s another 1st round draft pick who thus far has been a bust in Washington. He’s never had more than six passes caught or gained more than 84 yards in any game thru his first three seasons. 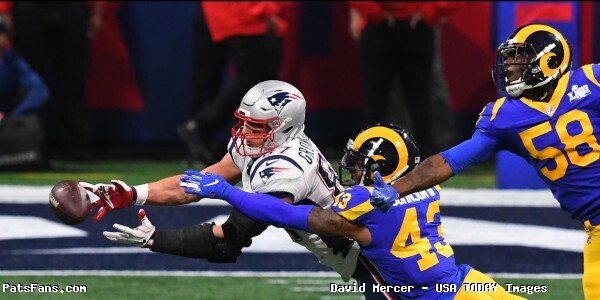 This entry was posted in 2019 Patriots offseason, NFL Commentary, NFL News, Patriots Commentary, Patriots News, Patriots Rumors and tagged AJ Green, Allen Hurns, Bruce Ellington, Julian Edelman, Laquon Treadwell, Maurice Harris, New England Patriots, Patriots 2019 free agents, Patriots wide receivers, Phillip Dorsett, Sterling Shepard, Tom Brady, Tyler Boyd on March 19, 2019 by Steve Balestrieri.